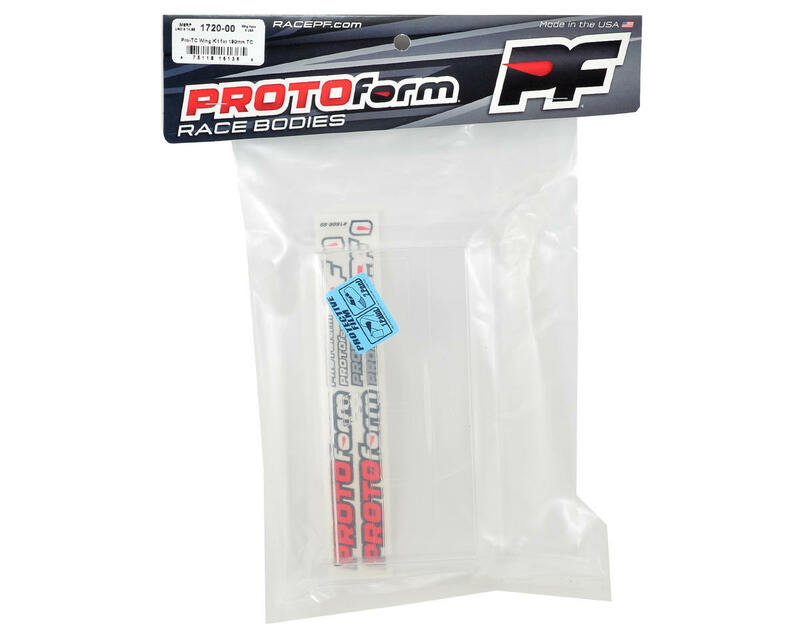 This is the Protoform 190mm Pro-TC Sedan Wing Kit. The Pro-TC Wing Kit is a great aerodynamic tuning option for your 190mm electric touring car. 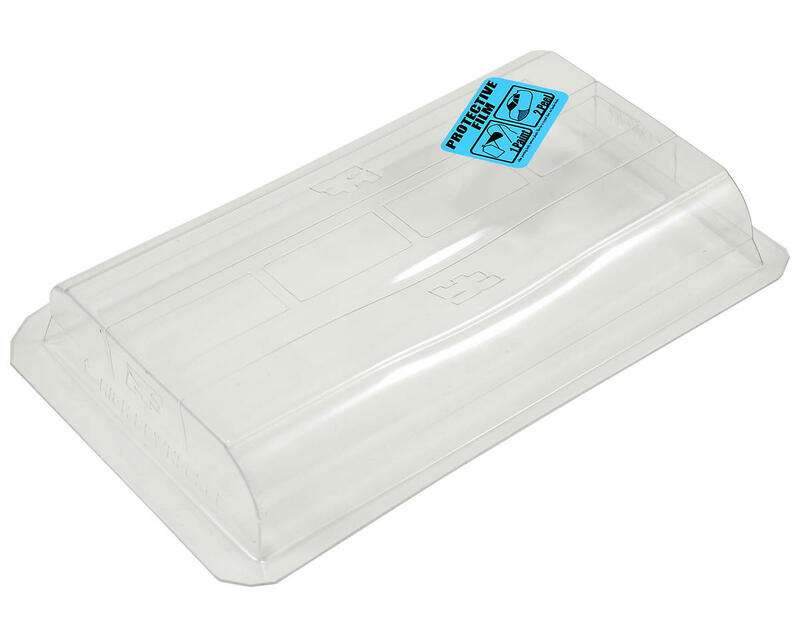 The Pro-TC Wing is formed from extra-stiff .040” Lexan for low deflection under high downforce loads and gives added durability during those unwanted tumbles. In development, 20 years of aerodynamics experience was combined with the input of a world-class team of drivers. Each Pro-TC kit includes two wings with different levels of downforce – high downforce and standard downforce – and 4 endplates. The Pro-TC Wing Kit fits all 190mm PROTOform bodies and meets all IFMAR/EFRA/BRCA/ROAR body standards. In order to keep your center of gravity low and to save weight from the extra thick lexan, it is recommend that you leave the wing unpainted.